It was another crazy week at work. I called my boss Thursday night and let him know I needed a personal day on Friday. I got up before the sun and my supportive wife packed a snack to help me prepare for my well deserved adventure. I went back to Vogel State Park to visit Wolf Creek Falls. They are actually known by several names: Wolf Creek Falls, Trahlyta Lake Falls, and Trahlyta Falls. By whatever name you chose to call them, they are well worth a visit if you find yourself near Blairsville, Georgia. The falls are short hike from the main park along the side of Trahlyta Lake. I arrived as the park opened and shot until late morning and was not interrupted by a single person. The isolation was just what I needed. There was no phone, no chaos, no corporate stuff. It was just me and my camera in a beautiful and tranquil place. I have to find a way to go more often. This image was captured with my 105mm VR micro lens. I know macro or micro lenses are designed for close-up photography. But, at the 105 mm focal length, I challenge you to find a sharper lens. 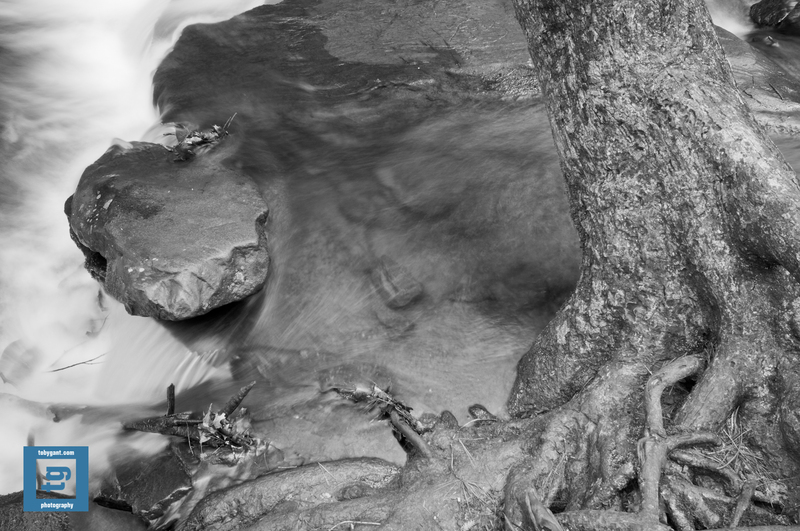 You can find more images of Wolf Creek Falls at my website: http://www.tobygant.com/vogel. This entry was posted in Photography and tagged #b&w, #black&white, #GA, #photog #photography #tog #togs, #travel by tobygant. Bookmark the permalink.